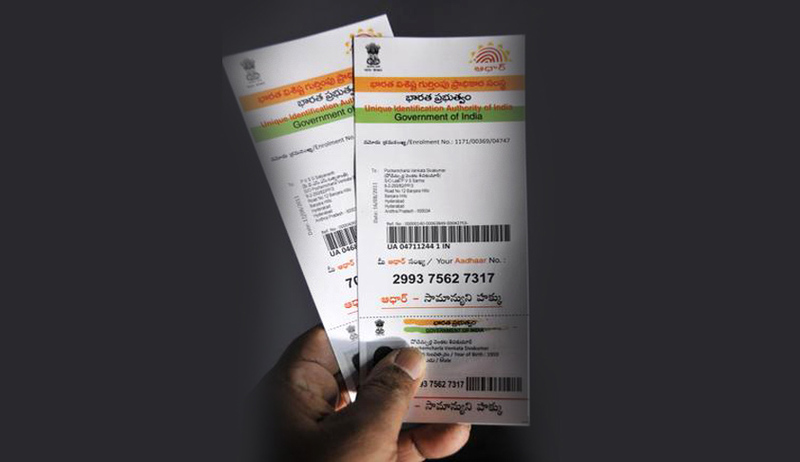 Ministry of Consumer Affairs, Food & Public Distribution has issued a notification which states that the individual beneficiaries having Ration Cards under NFSA to furnish proof of possession of Aadhaar number or undergo Aadhaar authentication to receive subsidies under NFSA. Notification issued by the Ministry Consumer Affairs, Food and Public Distribution comes into effect from 8th February, 2017. The Beneficiaries under NFSA who do not possess the Aadhaar Number or are not yet enrolled for Aadhaar, but are desirous of availing subsidies under NFSA are required to make application for Aadhaar enrolment by 30thJune, 2017 and may visit any Aadhaar enrolment centre (list available at www.uidai.gov.in) to get enrolled for Aadhaar. Till the Aadhaar is assigned to the beneficiaries of subsidises under NFSA, the entitlements shall be given to such individuals on production of Ration Card and either Aadhaar Enrolment ID slip or copy of his/her request made to State Govt for Aadhaar Enrolment alongwith any of the 8 documents i.e. Voter ID Card, PAN, Passport, Driving License, Certificate of Identity with photo issued by Gazetted Officer/Tehsildar on official letter head, Address card having Name and Photo issued by Deptt of Posts, Kisan Photo Passbook and any other document as specified by State/UT Govts. Beneficiaries can make their request for Aadhaar enrolment by giving their name, address, mobile number with Ration Card number and other details with their fair price shop owners or through the web portal provided for the purpose by State /UT Governments. As per the Notification the State /UT Govt shall also advise beneficiaries to get themselves enrolled at the nearest enrolment centres available in their areas by 30th June, 2017 and a list of locally available enrolment centres shall be made available to them. State Govt shall also offer enrolment facilities for the beneficiaries and in case there is no Aadhaar enrolment centre located in the respective Block or Taluka or Tehsil, the State/UT Govt is required to provide enrolment facilities at convenient locations in coordination with the UIDAI or the existing Registrars of UIDAI or by becoming UIDAI registrar themselves. The State/UT Government shall link the Aadhaar number of beneficiary with the Ration Card or with Bank Account for Cash Transfer of Food Subsidy within thirty days after receiving the same. Provision has also been made that any member of eligible household listed in the Ration Card shall be entitled to receive the entire quantity of entitled subsidised food grains or Cash Transfer of Food Subsidy under NFSA, if any one member of the household in the Ration Card fulfils the identification conditions in case Aadhaar number is not yet assigned to all such members of the household.